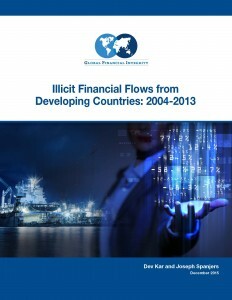 Illicit financial flows averaged a staggering 4.0 percent of the developing world’s GDP. Sub-Saharan Africa suffered the largest illicit financial outflows—averaging 6.1 percent of GDP—followed by Developing Europe (5.9 percent), Asia (3.8 percent), the Western Hemisphere (3.6 percent), and the Middle East, North Africa, Afghanistan, and Pakistan (MENA+AP, 2.3 percent). In seven of the ten years studied global IFFs outpaced the total value of all foreign aid and foreign direct investment flowing into poor nations. The IFF growth rate from 2004-2013 was 8.6 percent in Asia and 7 percent in Developing Europe as well as in the MENA and Asia-Pacific regions. Goal 16.4 of the Sustainable Development Goals (SDGs) calls on countries to significantly reduce illicit financial flows by 2030. However, the international community has not yet agreed on goal indicators, the technical measurements to provide baselines and track progress made on underlying targets and, subsequently, the overall SDGs. These indicators will not be finalized until March 2016. The report calls on the IMF to conduct this annual assessment. Governments should establish public registries of verified beneficial ownership information on all legal entities, and all banks should know the true beneficial owner(s) of any account opened in their financial institution. Governments should significantly boost their customs enforcement by equipping and training officers to better detect intentional misinvoicing of trade transactions, particularly through access to real-time world market pricing information at a detailed commodity level. To conduct the study, Dr. Kar and Mr. Spanjers analyzed discrepancies in balance of payments data and direction of trade statistics (DOTS), as reported to the IMF, in order to detect flows of capital that are illegally earned, transferred, and/or utilized. 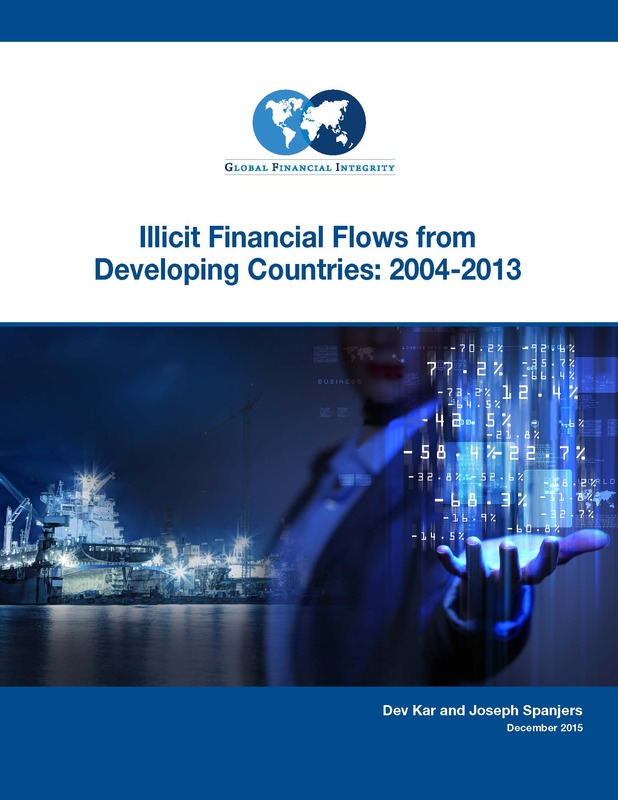 Since GFI’s 2014 annual update, the existing methodology has been refined to provide a more precise trade misinvoicing calculation for a greater number of countries, leading to a significant upward revision in illicit flow estimates for many of these economies as compared to previous GFI reports. Click here to read the full report online. A PDF of the full report can also be downloaded here [PDF | 3.5 MB]. A separate PDF of the Executive Summary is also available here [PDF | 61 KB]. More information about the GFI report—including an Excel file with the report’s data—is available on the GFI website here. For all press inquiries or to schedule an interview with Mr. Baker, Dr. Kar, or Mr. Spanjers, contact Christine Clough at cclough@nullgfintegrity.org / +1 202 293 0740, ext. 231. On-camera spokespersons are available in Washington, DC. All monetary values are expressed in nominal U.S. dollars (USD).